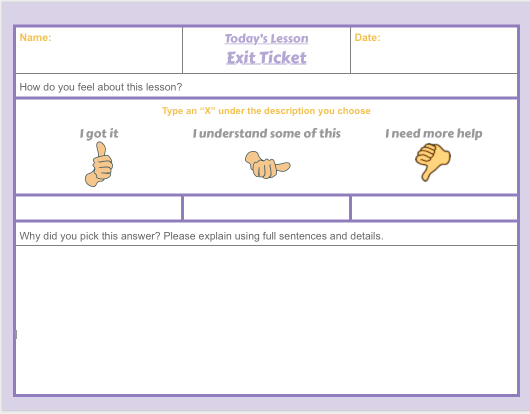 Exploring different ways to integrate Google Doc for an “Intro to Google Doc” presentation guided me to creating this “Exit Ticket”. Immediately I fell in love with the idea! The Google Doc lends itself as an easy to use support for all learning styles. Students simply click on the cell and type! If the student would like they can use “Voice Typing” to create their entry! Please feel free to copy and use! Thanks for the exit ticket download.